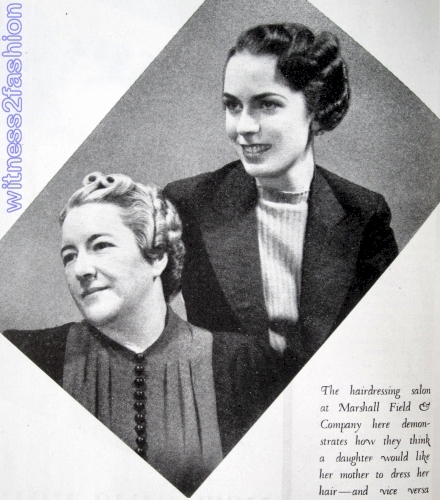 Woman’s Home Companion, February 1937, p. 70. 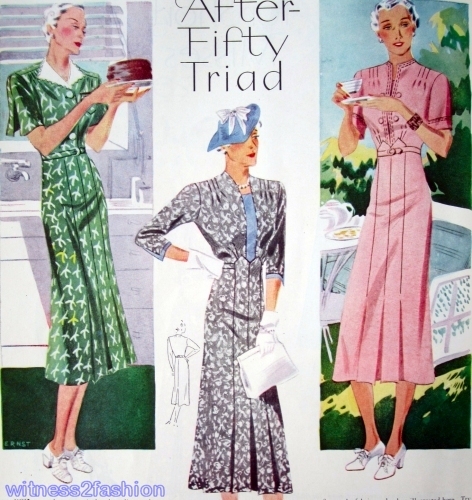 The Woman’s Home Companion offered four dress patterns for hard-to-fit women in its February 1937 issue. 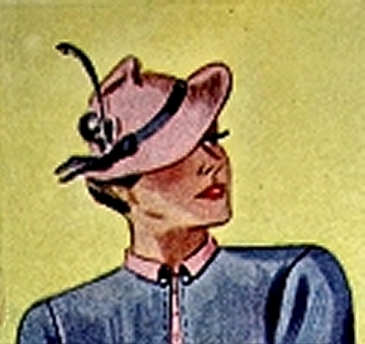 The first two were “designed especially to flatter the large woman,” and the second pair of patterns were a pre-cursor of “half-sizes,” being designed for women under 5′ 4 1/2″ tall and with “hips a little larger than average.” All four Companion-Butterick patterns were available up to size 52″ bust measurement. 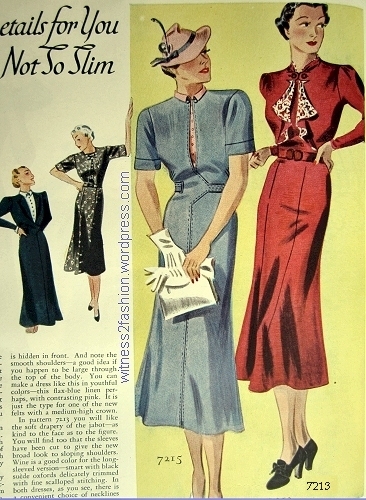 The articles include period advice on flattering styles, accessories, and color choices for large women; some of it is standard [wear vertical lines, avoid over-large prints] , and some of it – tiny collars? – is a surprise. 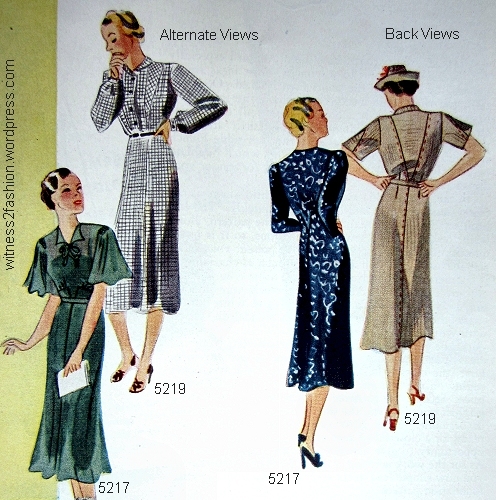 Companion-Butterick patterns 7215 &7213, 1937. 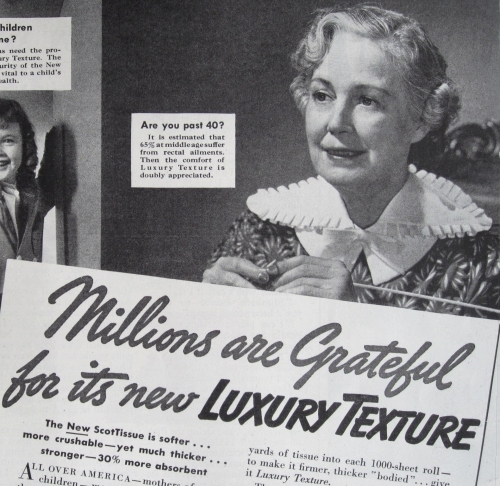 “We are sure you feel as we do about the question of youthful clothes for the large but not old figure. 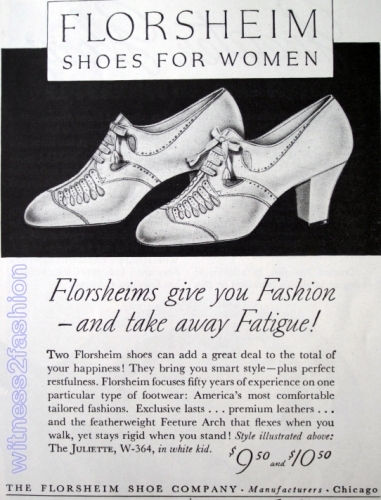 You are tired of the staid styles you usually find in the big sizes. You have had an overdose of surplice lines. You want fresh-looking new-looking dresses – and there is no reason why you shouldn’t have them. 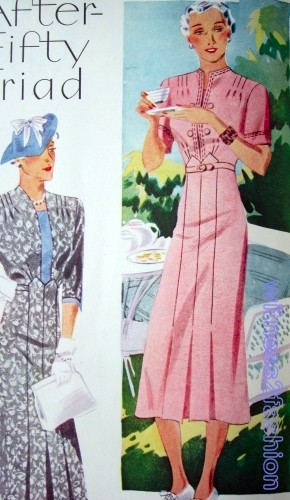 Companion Butterick patterns 7215 & 7217, 1937. “You may be short and your hips may be a little larger than average but you can still wear the new clothes to good advantage. One way is to choose patterns cut to fit your figure. Another is to be sure that every detail of your costume is in proportion to your height. 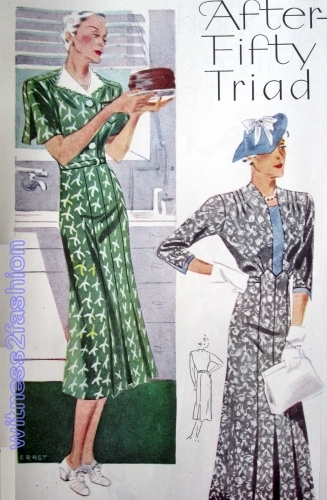 Companion-Butterick patterns 7217 & 7219, Feb. 1937. 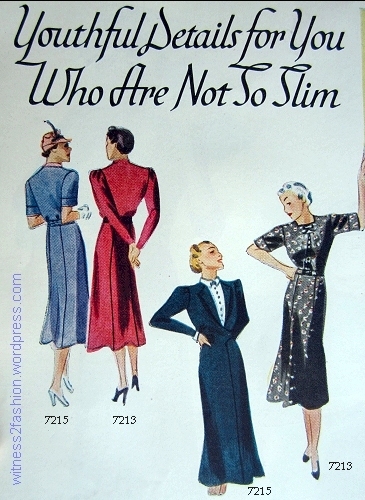 “About the patterns: No.7217 has this season’s raised waistline – and excellent idea because it adds inches to your skirt. 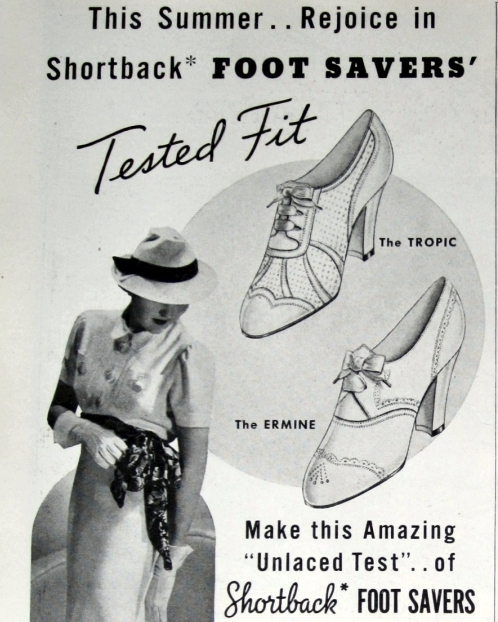 You will notice too that there is no belt to break your height and that there is enough fullness above the skirt to conceal any extra pounds about the diaphragm. I’ve seen a lot of 1930s hats in costume storage that look like they got squashed; I never realized that they might have started life that way! 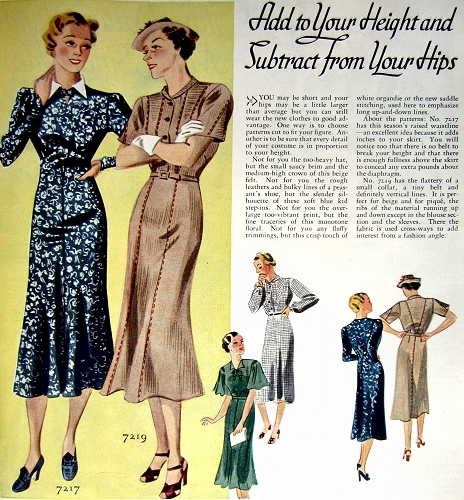 As usual, Woman’s Home Companion has written about patterns styled for large women, but illustrated the article on standard 1930s fashion figures. [Illustrations by Ernst.] 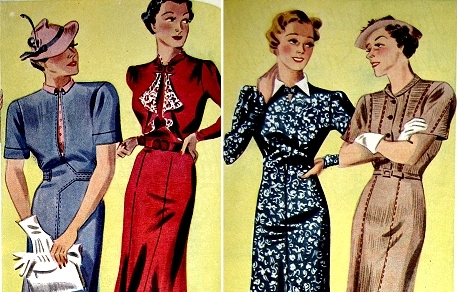 True, these four patterns were available from size 34″ bust all the way up to size 52″, but the illustrations don’t give any idea of how the dresses would look on, say, a size 42. 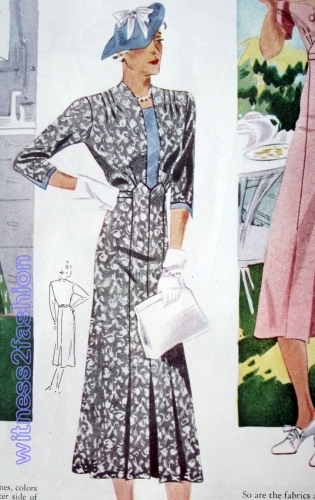 To be fair, however, the illustrations on page 71 did show slightly larger-than-usual hips.